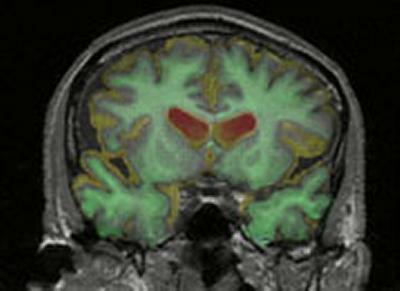 Researchers along the South Coast, including those from the University of Southampton, will be unified in their goal to defeat dementia. In the lead up to World Alzheimer’s Day, the UK’s leading dementia research charity has announced new investment in a Research Network, bringing scientists together to defeat dementia. Alzheimer’s Research UK will support 15 Network Centres of scientific excellence across the UK, including academic institutions along the South Coast. The Universities of Southampton, Bournemouth and Sussex, along with the Brighton and Sussex Medical School, will receive £70,000 of new funding over two years. The investment is part of the charity’s £100m Defeat Dementia fundraising campaign, announced in June by the Prime Minister. With calls from the G8 Dementia Summit in December for increased collaboration in dementia research, the Alzheimer’s Research UK Research Network brings together scientists from a variety of disciplines, throughout the UK. Teams of scientists who would not normally encounter each other are able to pool their expertise in projects that span the length of the country. South Coast scientists have been instrumental in contributing to important UK-wide studies, from the analysis of clinical trials in dementia to studying Alzheimer’s-related changes in the brain. The University of Southampton first established an Alzheimer’s Research UK Network Centre in 2002 and since then has gone from strength to strength with scientists from the Bournemouth University Dementia Institute and Sussex joining over the years. Now with a membership of over 30 pioneering researchers, this fresh funding will provide new opportunities for cooperation between teams, allowing innovative ideas to be tested. The Network aims to support existing researchers as well as attracting new scientists to use their expertise to answer important questions in dementia. Over 7,000 people in the three cities alone have dementia and it is essential that scientists not only work towards a cure, but act to help the local community better understand the condition. Every year, the Network Centre hosts a free public meeting, an informal event for the public to hear about the latest research findings. These events will foster dialogue between researchers and those touched by the condition, which can provide scientists with new insights into dementia and inspire new approaches to research. Dr Eric Karran, Director of Research at Alzheimer’s Research UK, said: “We will not find a cure for dementia by working in isolation. Investment in our Research Network is essential to bring scientists together to share ideas and resources. Supporting grass-roots research is crucial to lay strong foundations for larger studies and we are pleased to be able to invest in people and ideas that could provide the breakthrough moments we are all desperate for.